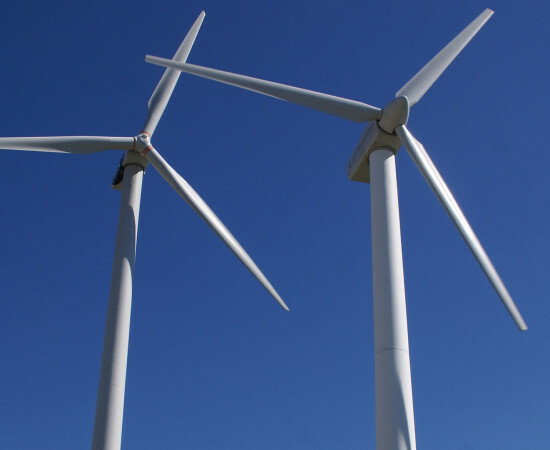 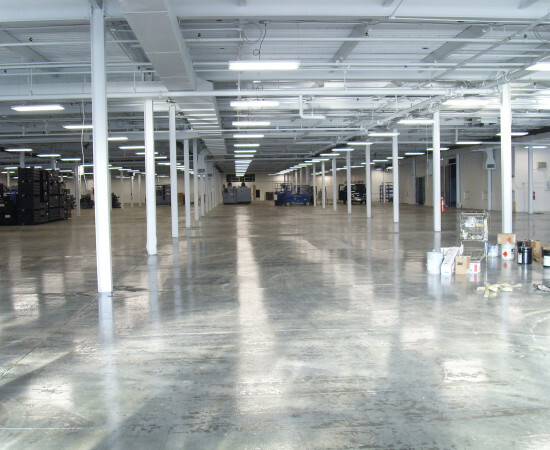 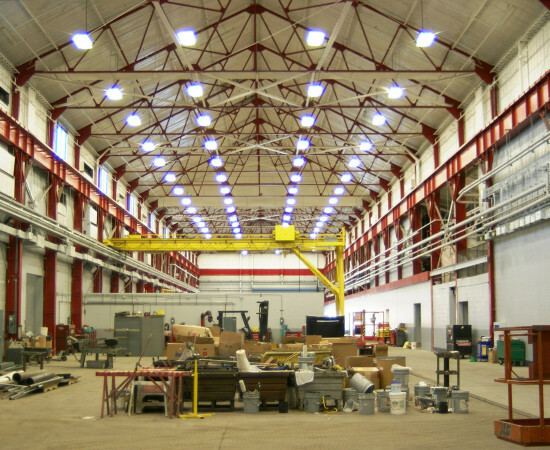 The Dependable Painting Company applied a 3-coat Tnemec epoxy system to the structural steel and the walls. 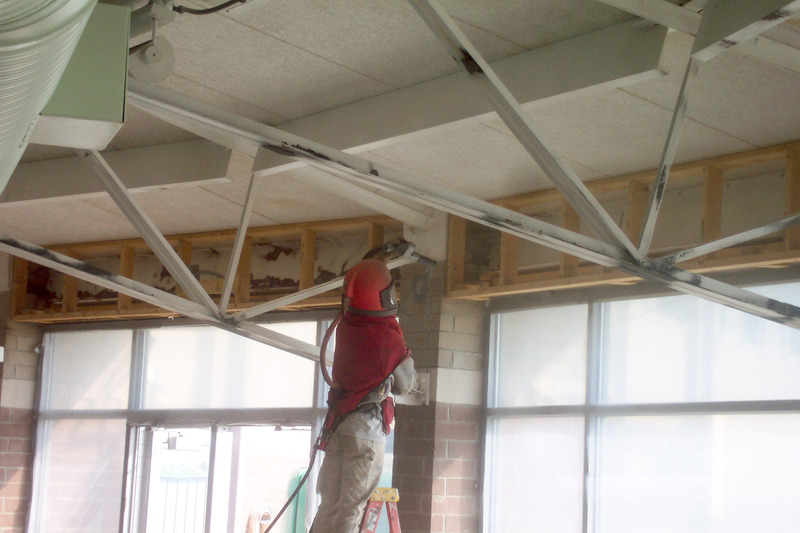 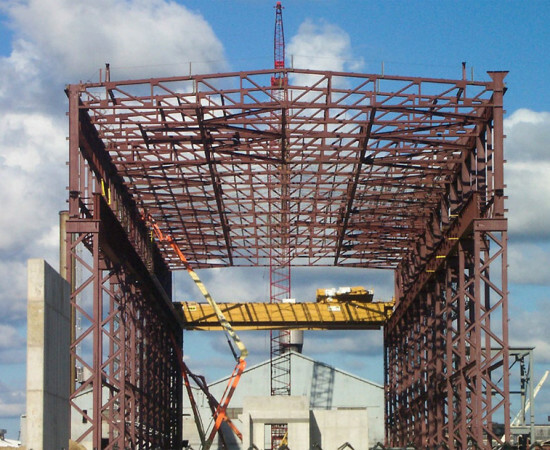 The roof was completely removed prior to the abrasive blasting of the structural steel. 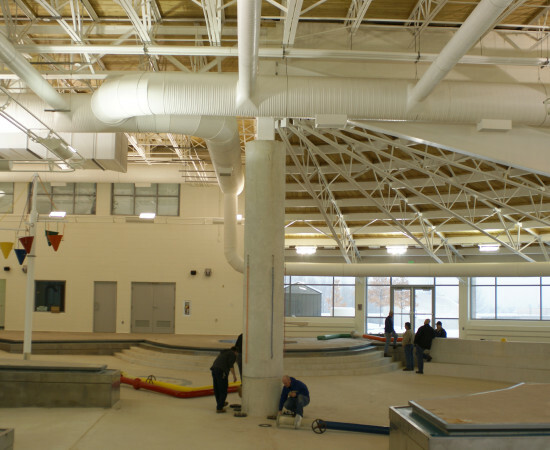 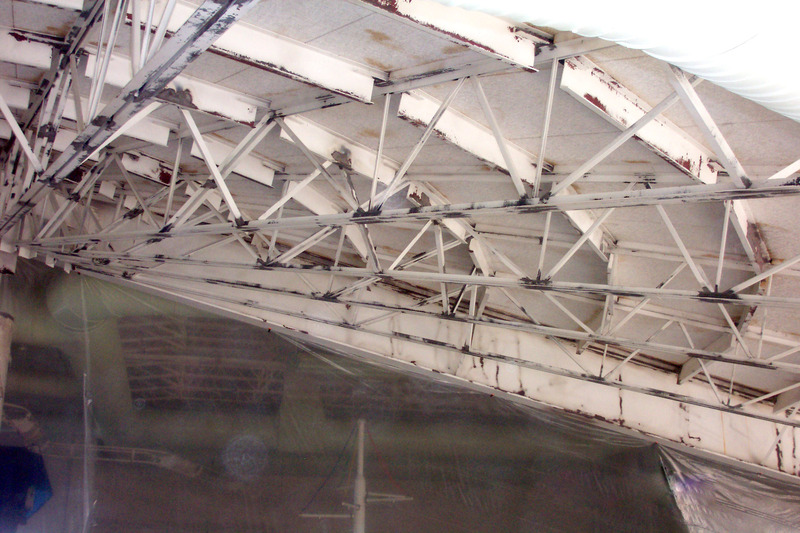 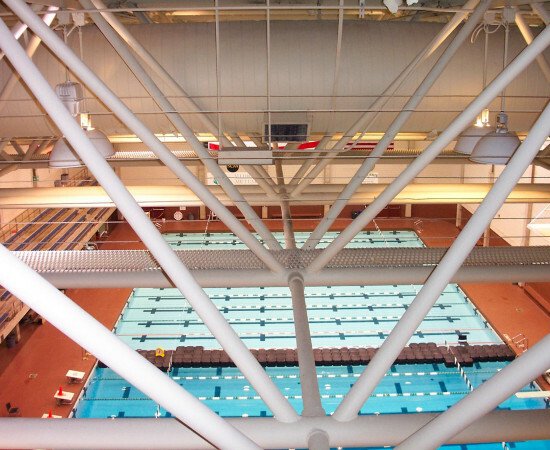 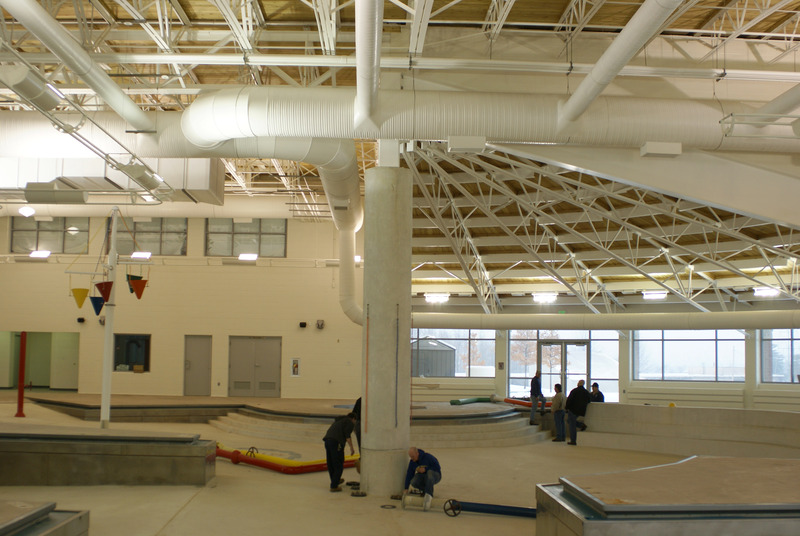 The structural steel trusses had areas that were difficult to reach and these areas had to be painted to protect them from high humidity and corrosive chlorine exposure that are typical in a pool environment. 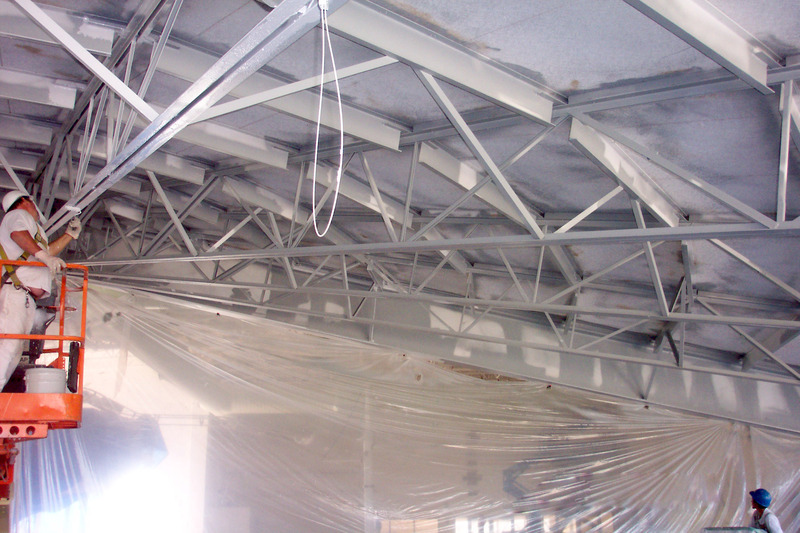 The walls were painted with epoxy that had a low permeable rating to minimize condensation forming on the walls.